I’m a bit late to the Shakespeare love floating around online today, but I did track down a few pictures from a 1999 trip to London. 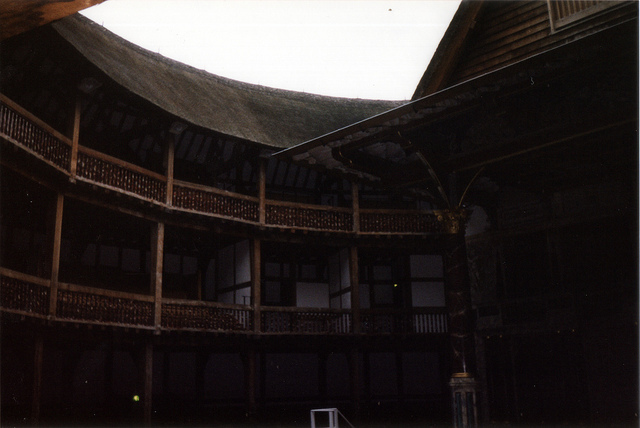 I had a few days at the end of a tour to wander around, and having just graduated with a drama degree, I had to visit the reconstructed Globe Theatre. I mean, seriously: Shakespeare. 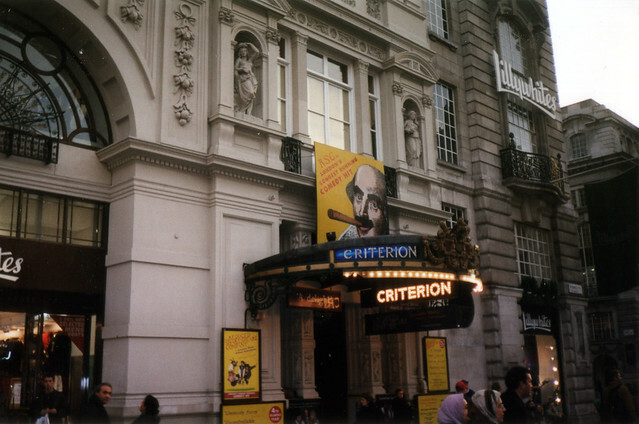 I also stopped by the Criterion Theatre, where the RSC was presenting — no, the other RSC: The Reduced Shakespeare Company’s “Complete Works of William Shakespeare (Abridged). 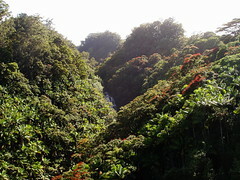 One of these days I’ll track down the negatives and get a better scan. 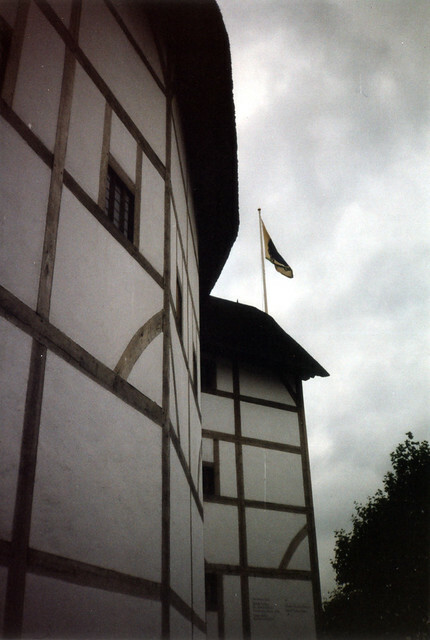 This entry was posted in Highlights, Photos and tagged Globe Theatre, London, Shakespeare, theater on April 24, 2013 by Kelson.